We all probably had a teacher in our school or college whom we love and admire even after so many years! They are the ones who taught us right and wrong, inspired us to think outside the box and helped us whenever we needed. Sure, they might have been harsh at times, but they are teachers. And they are one of the primary reasons we grew up ready to face the world. We here at FeedFond aren’t different and we have found 19 such teachers who raise the bar of awesomeness to an entirely different level! Check them out and don’t forget to tell us about your favorite teacher! #1 Our teacher has a student draw a “cat of the day“ on the board. He was away on Friday. So this morning he took out his phone and drew a ”substitute cat” from the web. I love this teacher. #2 A teacher wanted to help little boys who had no dads, so he started a “Gentleman’s Club” where they learn to shake hands, make eye contact, etc. #3 This is how my former art teacher proves you can make art out of anything. #5 …and then decided to make it a tradition. #6 My algebra teacher doing a handstand to demonstrate reciprocals. #8 When they changed the first lesson time from 9 am to 7 am, this teacher found a way to protest: a pajama riot! #9 This teacher demonstrates how to put on a sock because he’s not allowed to give a lecture to teenagers on how to use condoms. #10 A good teacher knows to encourage even such little things. #11 Teachers at this school take Magnum PI and picture day very seriously. #12 This was the day I regretted having already graduated. 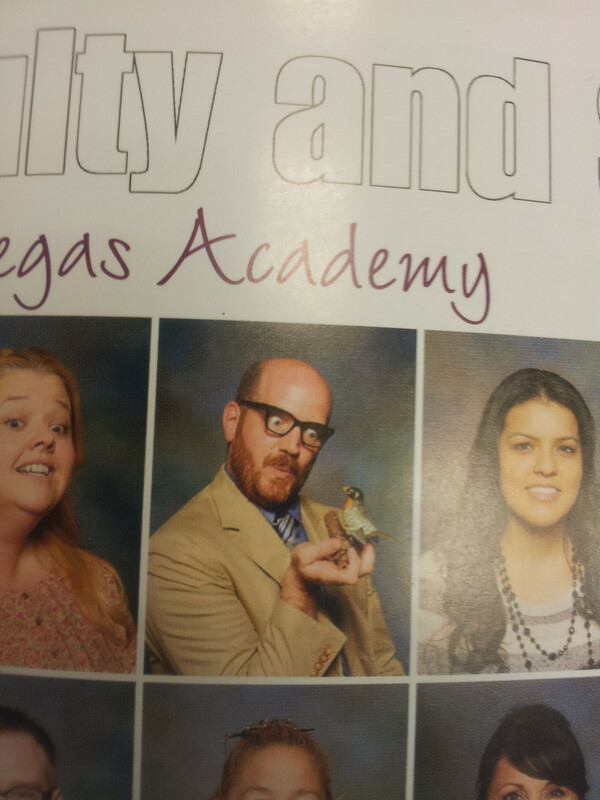 #14 This chemistry teacher is super hot! #15 This math teacher met her 100th birthday with her elementary students. #16 This math teacher takes Pi day too seriously. #17 My English teacher put this on the clock during finals. M — motivation. #17 My English teacher put this on the clock during finals. Don’t they each deserve a Nobel prize? Let us know which ones you like the most and don’t forget to share this with your friends. Check out 18 Sure Signs You Went To High School In A Small Town!